Looking for a group to join? Have a group seeking members? This page is open to adverts by groups currently recruiting new members. Formatting and additional information can be found below the group adverts. 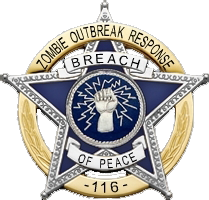 Contact: Any Breach Of Peace member in-game or at the 116 Discord. Team Breach of Peace is actively recruiting Human Survivors of all levels and classes. Establish a team of Human Survivors through recruitment. Maintain Generators, Buildings and other objects for the Citizens of Malton. As stated, we are looking for anyone who wants to be part of an organized campaign against the outbreak that occurred in Malton. It will be a never ending battle but it can be fun along the way. 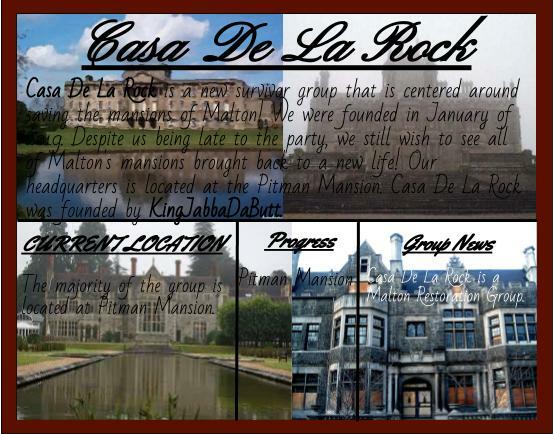 Casa De La Rock is a new survivor group that is centered around saving the mansions of Malton! We were founded in January of 2019. Despite us being late to the party, we still wish to see all of Malton's mansions brought back to a new life! Our headquarters is located at the Pitman Mansion. Casa De La Rock was founded by KingJabbaDaButt. Tired of wandering around Malton with no real cause? Need to make a difference? 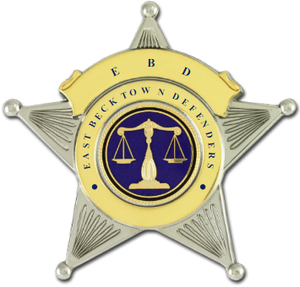 The East Becktown Defenders want you! Our goal is to maintain the suburb of East Becktown, keeping all our TRPs up and running, but we are often seen kicking back and relaxing in one of the pubs or attempting to converse with the Daubeney Resident Zambahz without being gnawed on. If you think this sounds like the perfect assignment for you, please contact us via our talk page, find us on Discord or come and find us in East Becktown! Looking for a group that’s edgy and offers opportunities to find and take part in the action anywhere in Malton? Look no more, ENVY is for YOU. As a pro survivor group, ENVY's day to day is ever changing, but mainly we are here to help with our available resources in any situation, and we do mean ANY. That goes from assisting in sieges, help rebuild suburbs lost to hordes of Zeds (or zergs nowadays), to bring our members to assist in PKer assaults. You need assistance, ENVY is on its way. No problem is too big. Throughout its history, ENVY has met with bold opposition from Zeds, PKers and now Zergers. We never back down from a fight, good or bad. We are fearless. In some cases, the temptation to teach a good lesson to those that dare is too tempting. We do bite when poked and will offer strategic and delightful psychological warfare to anyone that does. We are looking forward to making history again and welcome new members to have each other’s back. Come drop a line here and lets see if ENVY is for YOU! 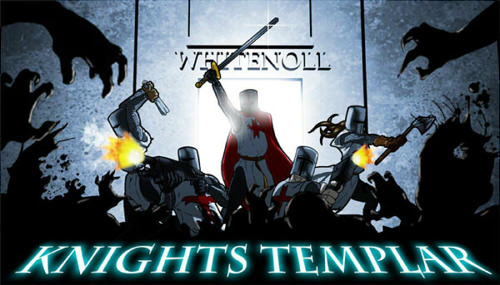 Into this city full of horror, Came warriors of honor, A brave band of friends, Called the Knights Templar! Living only to serve, and to help those in need. Taking their loyalty to the grave and beyond! We are modern-day knights, defenders of Kempsterbank and Wray Heights, friends to any of Malton's survivors in need of sword or succor. Living Maltonites of any class and any level of experience are welcome; for those in need, we offer training and guidance. Missions available for those wishing to remain in the Kempsterbank/Wray Heights (south-central Malton) area or those wishing to see a bit more of the city. Check out our wiki page or join up on our forum or on Discord. The Malton Construction Workers Union is a group based around facilitating the rebuilding and maintenance of Malton's infrastructure, working with regional groups to improve barricades and other logistical matters. Malton is a warzone, and the real battle is based on AP, our true objective is to decrease wasted AP for other survivors. 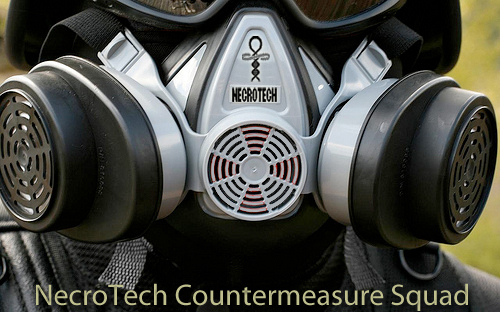 The NecroTech Countermeasure Squad is a special security unit belonging to NecroTech. Consisting of all human character classes, it has proven to be an effective weapon against the infection. The NTCS is based in Spicer Hills, and is dedicated to the liberation of Southwest Malton. As soon as the incident was reported to the NecroTech headquarters, the Countermeasure Squad was sent into Malton in an attempt to avoid collateral damage. The team arrived too late to stop the infection, they now fight to keep it contained. Rising from the ashes of two historical groups, the Soldiers of Crossman have thrived in the volatile Northwest of Malton, becoming one of the longest-lasting, premier groups in the game. Our friends know us for our loyalty, good humor, and dedication. Our enemies know us for our strength, determination, and tenacity. The Northwest was once a proud bastion of humanity in the zombie apocalypse, standing firm when all else crumbled around it. We intend to bring that back by uniting all of the survivors in the Northwest, not only in the fight against our common enemy, but also in our struggle to rebuild that which has been taken from us. To unite the Northwest and take back what is ours. Main Horde The Constables Gore Corps Rules/Policies Join us! The Ridleybank Resistance Front (RRF) is the oldest, most famous and most feared of all the major hordes in Malton. A merciless but fun zombie force created by the legendary Petrosjko to protect the sacred zombie homeland of Ridleybank and spread terror throughout the surrounding suburbs. 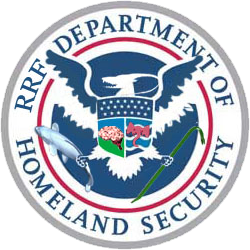 We don't care if you're a maxed out killer or the newest babah zambah, the RRF will accept any and all who are willing to commit their strength to help protect the Homeland from breather infestation. We have a group for every playstyle. The main horde hosts casual zambahz who attack as and when they can. For zambahz who can commit to a set strike time (19:30 US Eastern, 00:30 UK), there is the ruthless police force of Ridleybank, the Constables. And finally, for those who have the skills, there is the elite necro-terrorist wing of the horde, the Gore Corps. 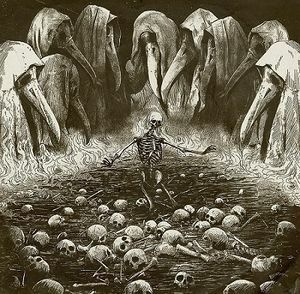 To join Malton's greatest horde PM Lord Moloch, or find us on our Discord, where we run our strikes and plot the inevitable downfall of humanity/make depraved jokes/host brain-tasting events. So, join the Ridleybank Resistance Front and make Malton a scarier place for all. Barhah! We're a bunch of fun and friendly players who love the game and think the undead have been at a disadvantage for too long. Whether you're a career zombie, a brand new babah or a survivor wanting to defect to the non-Mrh?ing side, any and all zombies are welcome to join us! We make sure to feed our babahz so they grow up to be big and strong! To join the fastest growing horde in Malton, head to our Discord and we will let you know where in Malton we are! The Malton Danger Updaters are a loose group of players whose goal is to keep Malton's DangerReport system up-to-date across the city. MDU alts may be of any variety, but are generally discouraged from "playing" the game when on MDU assignment. 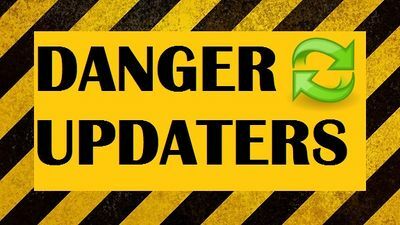 Instead, they travel the city, updating building- and suburb-level DangerReports and other information. MDU has several projects ongoing! Join us here on the wiki to get involved. MDU has shifted to a new Marking Unknown schedule. See here for more. 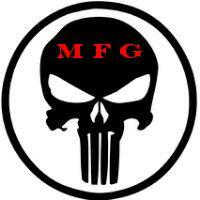 This fall, MDU will be participating in the Great Suburb Group Massacre. Check back soon for more info! time stamp (~~~~~) or timed signature (~~~~) Optional if otherwise displayed. The entire advert content is "encased" in a table. This prevents one advert's formatting from affecting other adverts due to image "text flow" and so on. "Group Name/Recruit" is a normal wiki page that contains the content of the advert. Using the curly brackets and colon inserts your advert page's entire contents onto this page, just as if it were a template. <noinclude>[[Category:GROUP NAME HERE]]</noinclude> if your group has a category of its own. <noinclude>[[Category:Recruitment|TYPE]]</noinclude> where TYPE is your group type. Place your advert in alphabetical order by group name, within the relevant group type. Adverts not posted in the proper alphabetical order will be moved. Large Groups or Organizations with significant subgroups are limited to one advert. This includes groups such as the DHPD and the DEM, they may use their advert to direct players to the separate sub-groups. The advert must have a timestamp (five tildes - ~~~~~) or a signature with an attached timestamp. This can be placed either on this page or on your adverts page. After two months as measured from the timestamp the entire advert may be removed for inactivity. It is the group’s responsibility to update the timestamp to prevent the advert being deleted. Updating the timestamp may and should be done at any time while the group is still recruiting. Adverts which do not use the format below or fails to adhere to the guidelines above will be commented out. This can be done using comment tags - <!-- ... -->. A dated comment will be left in the edited section explaining why the advert page was dis-included; if the advert is not fixed within two weeks, the entire section will be removed. This page was last modified on 30 March 2019, at 02:45. This page has been accessed 405,120 times.